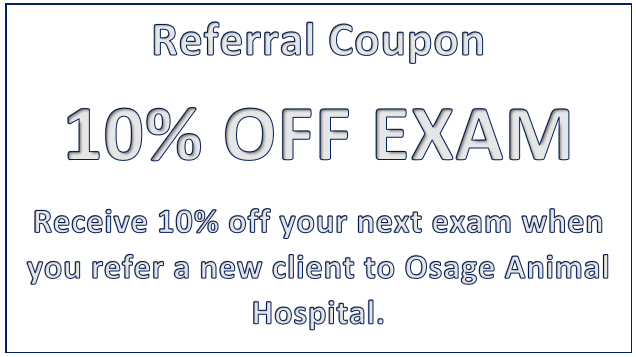 If you refer a client to Osage Animal Hospital, you'll save 10% off your next exam! 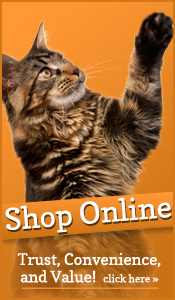 Also, if someone refers you to us, you'll also save 10%! 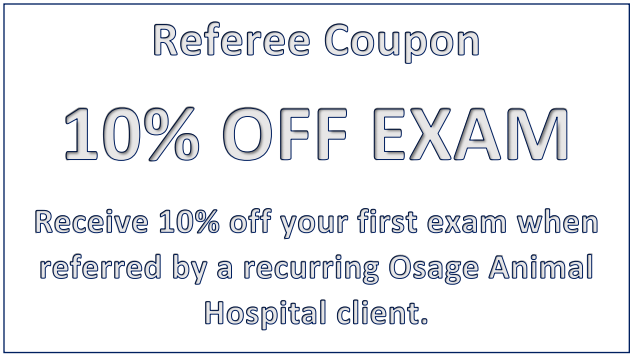 Please click the images below to print out the appropriate coupon for you and we'll see you soon!